Green grass sheltered by limestone. 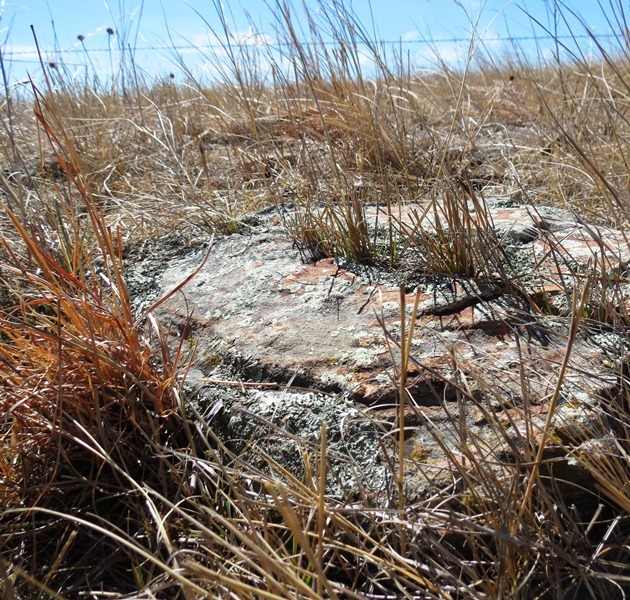 Tough prairie grass splitting open a rock. 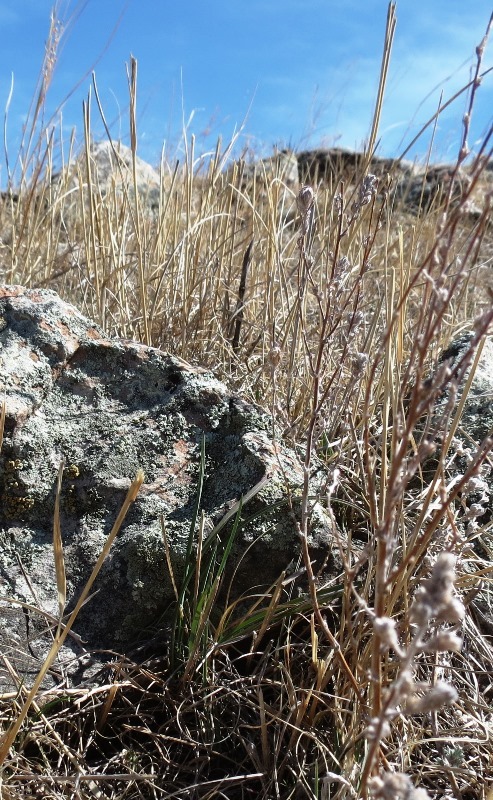 Like the native grasses, the roots of writing go deep and reach out in many directions. These roots may be so thin they appear delicate, but they have strength to draw life-giving moisture from the soil. I’ve learned that I need to be patient. I may begin writing with no clear idea of where I am going, simply describing something I’ve seen, or responding to a news item. I may write and write and write—and suddenly the subject will present itself, will draw the sustaining moisture out of soil that may seem dry and unforgiving. Green life hidden beneath the dry debris. This essay began with two simple observations: dust rising behind a pickup, and grass growing green, two pictures that contradicted one another. Those two sights led me to one of my main themes and interests, native grass and its ability to withstand drought and abuse. 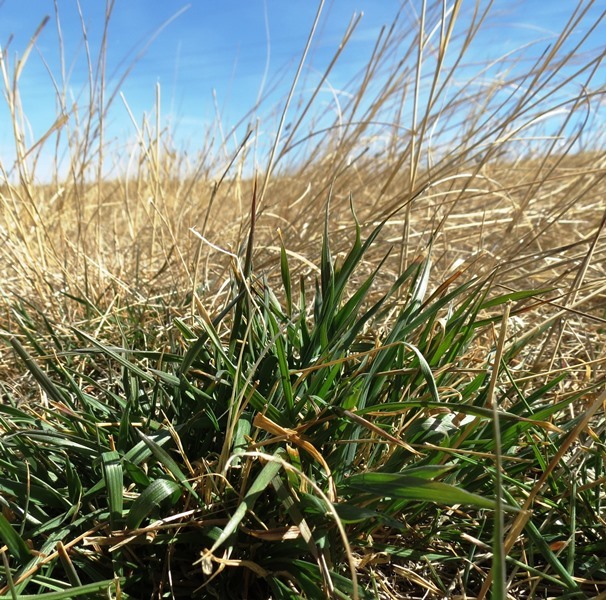 I’ve written about this subject often in attempts to persuade readers to save native prairie grasses, but this time my thoughts turned to writing and the comparison emerged.